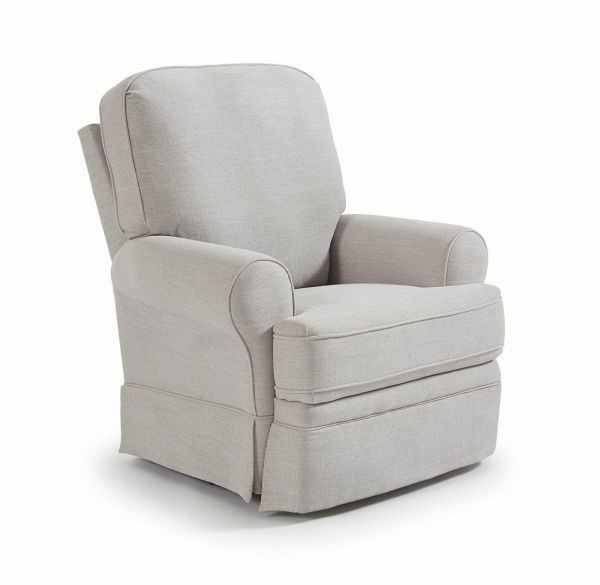 Simple, yet pleasing style exemplifies the transitional Juliana Swivel Glider Recliner. The rolled arms and skirted bottom give added appeal, while the notable welting provides a tailored look. Inside handle release.